This pretty necklace from GE London is made from three colour tone alternating discs threaded through a snake chain. There is 280mm or 11 inches of coloured discs on an 17 inch snake chain with a 2.5 inch adjustable chain link. 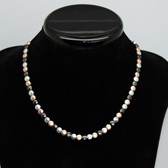 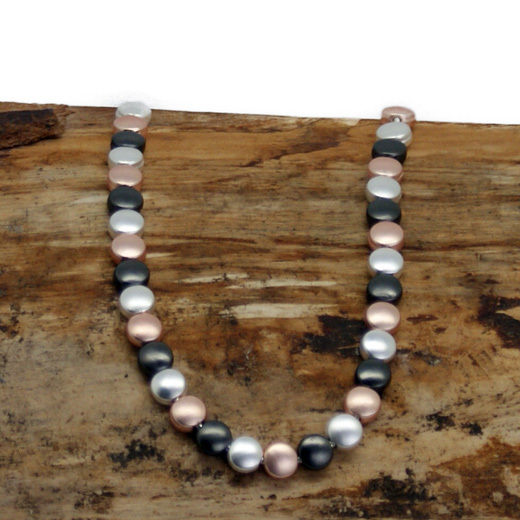 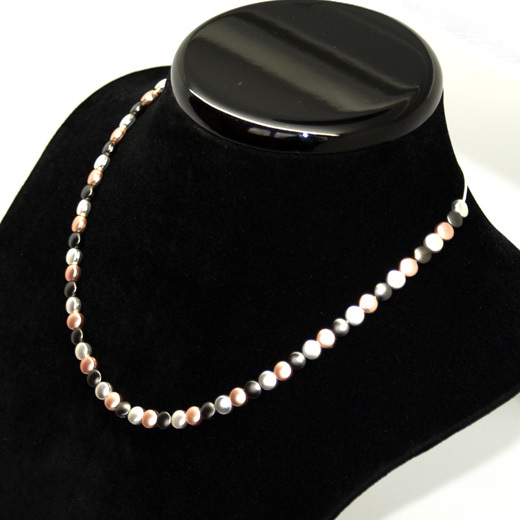 It is a lovely necklace that will add shine to any outfit and make a lovely gift.